If you love chocolate (who doesn’t?) 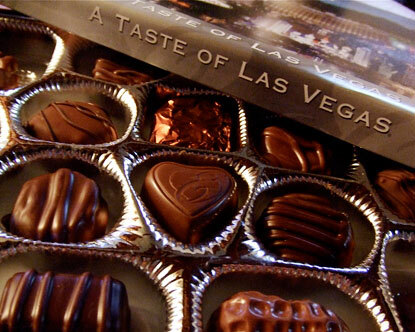 you will love to take one of the Ethel M Gourmet Chocolate Factory Tours. These self-guided tours are available from Monday to Sunday from 8.30 am to 6.00pm. Tours of chocolate factories are perfect for trips out for schools, parties, or just for chocoholics who can’t get enough of this tasty treat. Ethel M Gourmet chocolate is one of the most well-known luxury brands in the US (think: Mars candy empire) and their products are popular with people of all ages. When you visit the factory you will get to see behind the scenes and learn how these products are made and find out all about their history (did you know that they have been for over 100 years?). Of course, you will also get the chance to sample one or two of the creations while you are walking around. At the end of your tour you can buy yourself something to take home with you or splash out on a chocolate gift for someone you care about. In addition to the factory tour you can also go on a tour of the wonderful Cactus Garden which has more than 300 species of plants. This is an unusual twist that you might not expect from a tour of chocolate factory, but it is really enjoyable and something that most people will want to do while there. Throughout the year there are various events, such as the Easter events, where you can get free chocolate and stock up on Easter gifts that your friends and family will just love. If you would like to bring a group to one of the Ethel M Gourmet Chocolate Factory Tours, Arrow Stage Lines will take you there and back in comfort and safety. Contact us here to Book a Motorcoach.